He slumped badly, hitting .197 with 19 RBIs in the first half, then improved to .247 with 27 RBIs in the second half to finish at .219 with 11 homers and 46 RBIs in 113 games. Switch-hitting infielder Neil Walker agreed Tuesday to a one-year contract with the Miami Marlins and is expected to compete for a starting job. 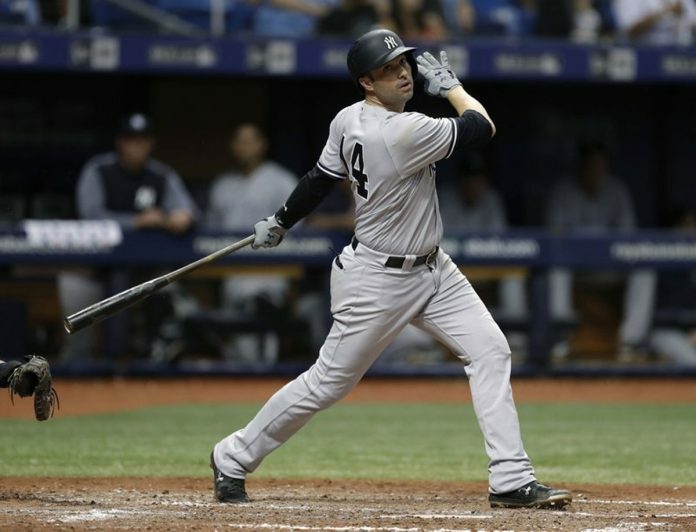 Walker was among the unsigned free agents last winter who attend a free agent training camp in Bradenton, Florida, and he agreed in mid-March to a $4 million, one-year contract with the New York Yankees. Marlins right-handed reliever Nick Wittgren, who had a 2.94 ERA in 32 games last year, was designated for assignment. Walker has a .268 career average and has reached double figures in homers every year since 2010. He has also been with the Pirates, Mets and Brewers. Walker has played mostly at second base, but also has played at first and third and in the outfield, where he could see playing time with the Marlins. Miami also designated right-hander Nick Wittgren for assignment.